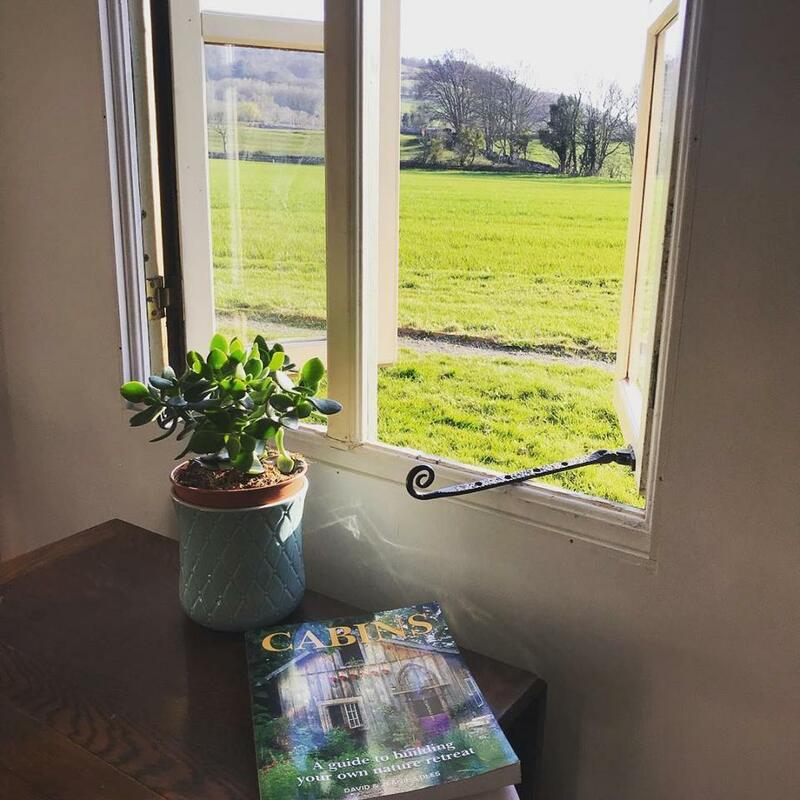 New for 2019 our cabin is set in a magical wooded area, and is sheltered by a smattering of trees, which provide dappled shade on hot days and shelter on the not so hot ones! Our yurt inspired cabin, has been built specifically for us by local a craftsman using reclaimed and locally sourced materials where possible. As such it is completely unique and full of character. It is our most luxurious accommodation boasting double glazed windows, polished floorboards and a quality wood burner. All of which will keep you nice a toasty. Quality bed linen and towels are provided for all beds as needed (1 x double and 2 x singles, plus a little one in a cot or camp bed). As with all our units, the cabin is completely off grid, allowing you to really switch off and relax, but still have the convenience of lighting and phone charging provided via solar panels. Situated amongst a few trees and overlooking the stream, it occupies the most private spot on site. Popular with children for it’s ‘den’ like feel and couples because of it’s privacy, It offers something for everyone. Despite it being more substantial, you’ll still feel close to nature as you sit and enjoy the sound of a babbling brook, surrounded by birdsong and mountain views. When it comes to facilities, there’s no compromise either, A private, fully equipped kitchen complete with double hob, grill and fridge, is provided as is a fire pit which doubles as a BBQ. Whichever way you choose to cook, eating alfresco under the stars is a real treat!